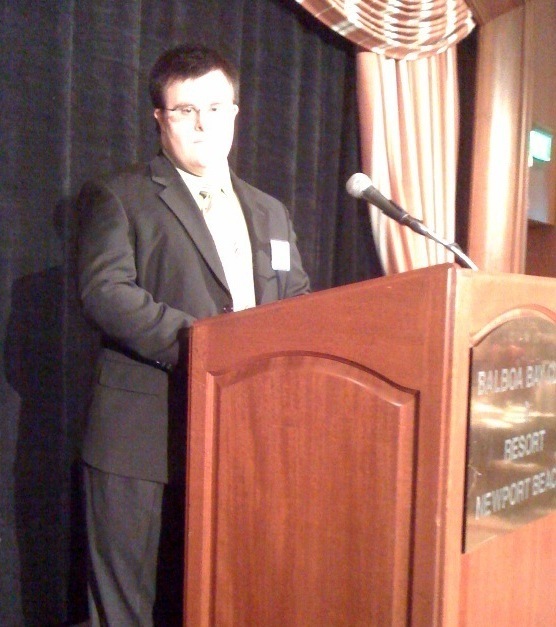 DSAOC celebrated the birth of 73 new babies born with Down syndrome in Orange County during 2009. The boys came in ahead with 41, compared to 32 girls. 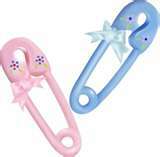 Congratulations to all the new parents! A big thank you goes to the DSAOC Hospital Outreach Committee for their ongoing work with local hospitals and healthcare providers to help identify these births and coordinate early parent contacts. 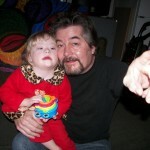 DSAOC has been notified that it will be awarded a $5,000 grant from the Pacific Life Foundation. The funds are to be used to support DSAOC’s healthcare programs. The grant will be formally presented during an awards ceremony at the PLF headquarters in Newport Beach on January 25th. 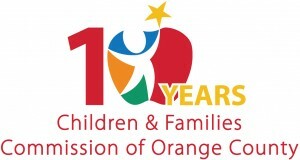 The Children and Families Commission of Orange County is celebrating its 10th anniversary in 2010. With funding from Proposition 10, the Commission has been able to support organizations and projects that help the youngest members of society get a solid start in life. DSAOC programs such as, Mano a Mano, Partners in Education, and our new pediatric healthcare program have all received funding from the Commission this year. THANK YOU! Anthony Chang, MD, MBA, MPH – Medical Director at the CHOC Heart Institute will be the guest speaker for our next session of the DSAOC Healthcare Series. Scheduled for 6:30 – 8:00 PM, on Wednesday, January 20th at the DSAOC Center, the topic will be Cardiac Disease in Children and Young Adults with Down Syndrome. We’re sure there will be alot of interest, so register early to make sure you have a seat. To register call DSAOC at 714-540-5794, or click here. 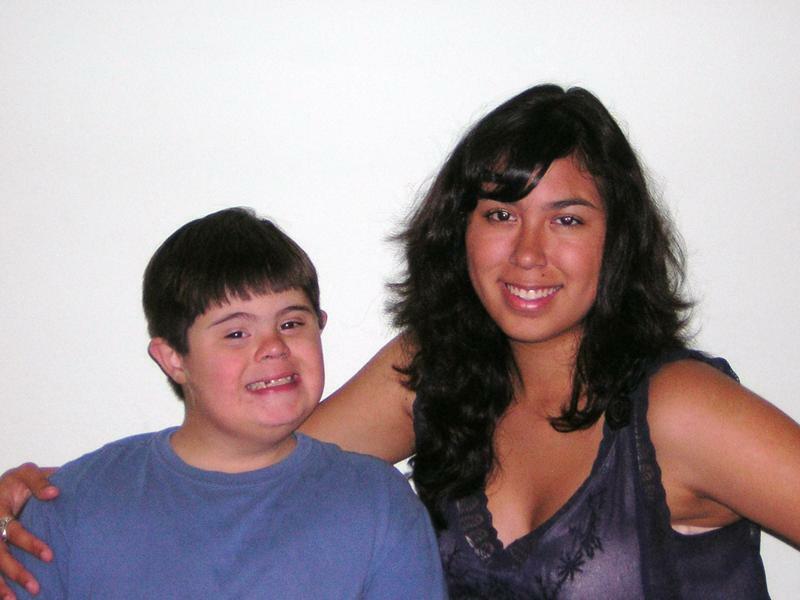 For teens and adults with Down syndrome 15 years and older. Call DSAOC for more info and to register. 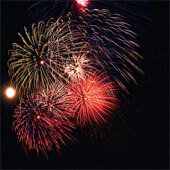 Wishing you a happy, healthy, and safe new year! Posted in All Posts, DSAOC Center News | Comments Off on Happy New Year! 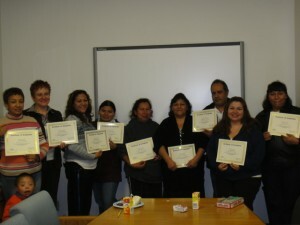 Our new DSAOC Mano a Mano (Hand in Hand) Class recognized its first graduates in December. The 10 week program, funded with support from the Children & Families Commission of Orange County, is focused on our Spanish speaking families. Designed to enhance early literacy for children (3-6 years of age), while also helping the parents better understand the IEP process and improve their own language skills. CONGRATULATIONS to the graduates; and many THANKS to our Mano a Mano Team teachers: Monica Lucero, Yessica Gandara, Cristina Mamac, and Analiz Pulido. 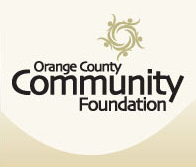 In November, DSAOC was awarded a $10,000 grant through the Orange County Community Foundation. In cooperation with private donors, the Foundation has been working for more than 20 years to improve the quality of life here in our community. 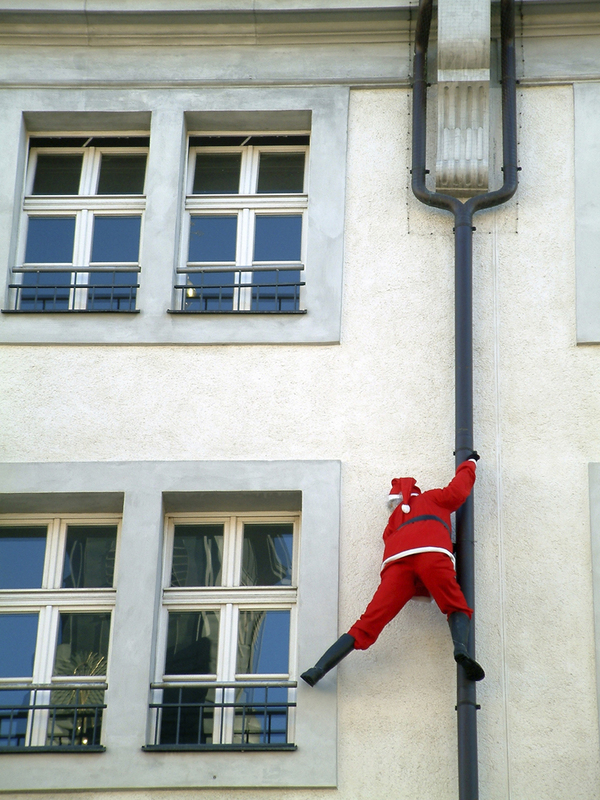 Our annual holiday event was a great success again this year with more than 300 people dropping by to chat with Santa this past Saturday morning. Many thanks to the DoubleTree Hotel, the Volunteer Clowns of Orange County, and our always fabulous volunteers! 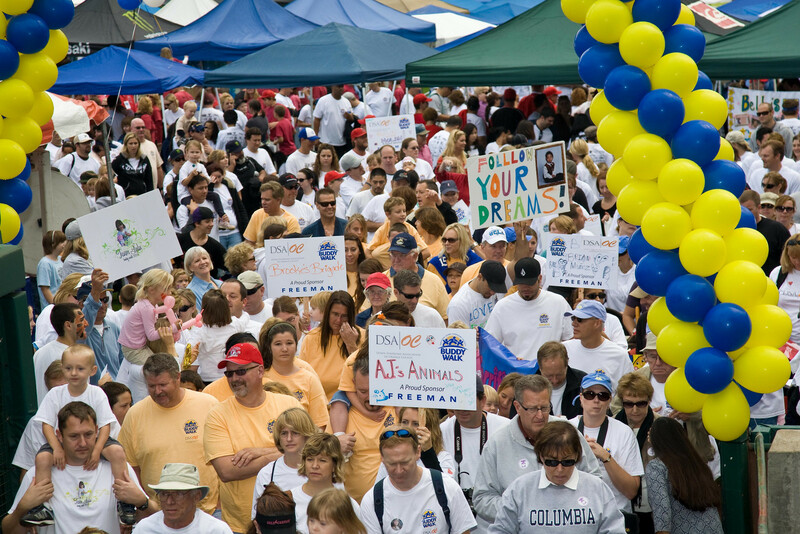 A big thank you to the volunteers, sponsors, exhibitors, vendors, and participants that helped make Buddy Walk a great success again this year! And, a special shout out to the Team Captains that work so hard! 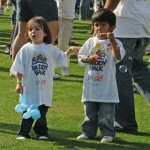 Buddy Walk contributions will still be accepted through the end of this year, so there’s still time. We’ll keep you updated. 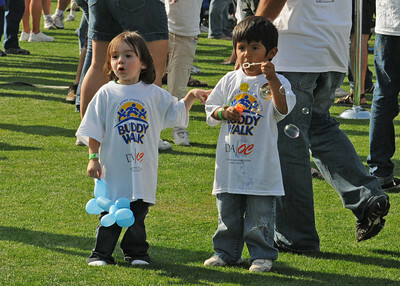 Be sure to check out the first of our photos from the 2009 Buddy Walk. It was a beautiful day and these are beautiful photos! These were all taken by photographer Terrie Tavis. 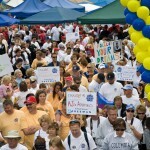 Click here (use password: sunshine) to view 2009 Buddy Walk Photos. The Orange County Trial Lawyers Association generously donated more than $20,000 to DSAOC from a Silent Auction conducted at their Annual OCTLA Top Gun Awards Dinner held at the Balboa Bay Club on Saturday, November 21st. 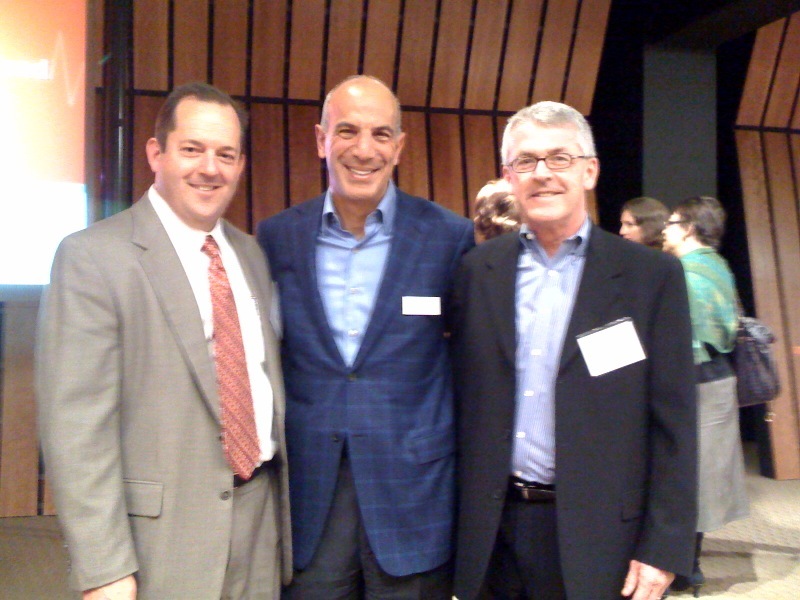 Board President – Gerard Jensen was joined by Jacob Braun in representing DSAOC at the event. 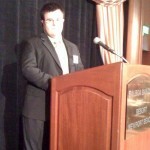 Jacob did us proud and received a standing ovation following his comments to the audience. Thank you to the Officers, Board, and Members of the OCTLA for making this contribution possible. 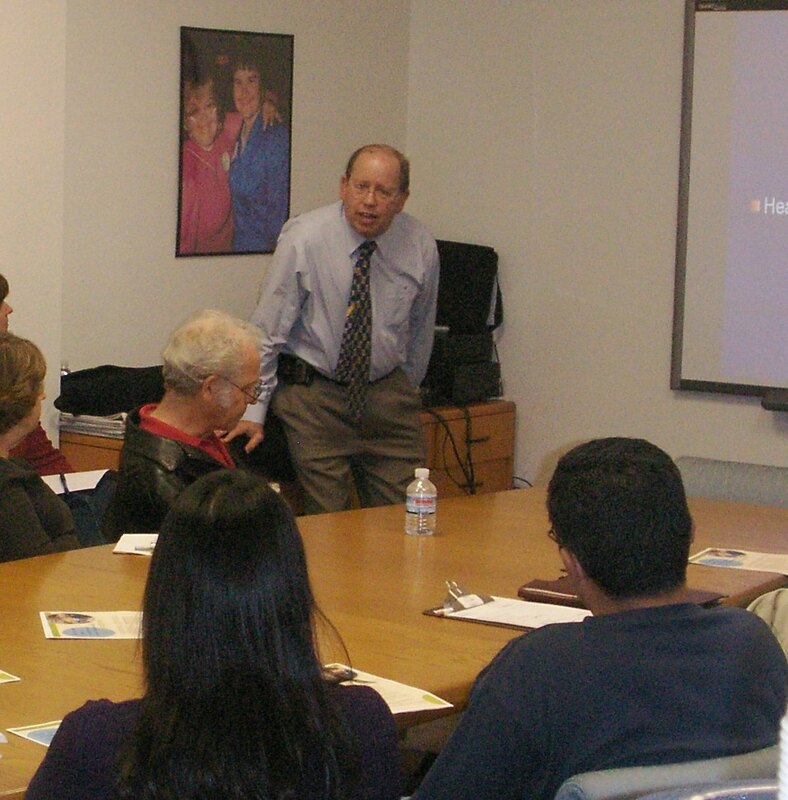 Parents filled the room on November 18th for the inaugural session of DSAOC’s new Healthcare Series. 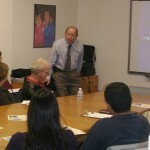 Dr. Ira Lott spoke to the group on the topic of Down Syndrome: A Link Between Development and Aging. Stay tuned for more updates on these informative sessions focused on a wide variety of healthcare issues related to Down syndrome. The next one is scheduled for January 20th. 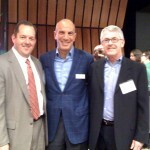 Partners in Education Invites Your Help! The DSAOC Partners in Education program connects educators, therapists, paraprofessionals, and school/district administrators with the training, resources, and support they need to help educate students with Down syndrome. During the past year, the program has been successful in establishing many of these connections at the district and SELPA level throughout Orange County. We are now recruiting parents to assist in the outreach activities. Would you like to join us, or maybe just learn more about the effort? Call the Center at 714-540-5794, or email sames@dsaoc.org to find out more. Posted in All Posts, Education | Comments Off on Partners in Education Invites Your Help! In addition to our headliners – THE ENGLISH BEAT…we’ll also have some other exciting live entertainment for you on Buddy Walk Sunday, including Chelsey Sanchez, and the DagumDragon Band with Kim Holloway. Remember – lunch will be on your own so we invite you to bring a picnic. The stadium will also have a concession stand open near Gate 1 for food purchases. Plus we’ll have lots of your favorite snacks located in booths around the field. Water will also be available for everyone on the field. We’ll see you on Sunday! Even if you can’t join us at the Buddy Walk this weekend – here’s the next best thing. In collaboration with iBN Sports, we are excited to announce that we will be broadcasting live from the DSAOC website. This will be our first live broadcast and we know it will enhance our efforts to expand visibility and public awareness. So have your friends and family tune in to watch the festivities and live entertainment on the field, as well as all the teams finishing the walk. The Edwards Lifesciences Fund recognized DSAOC as the recipient of one of it’s 2009 community grants during an Awards Reception held on November 12th at their corporate offices. Headquartered in Irvine, the company annually provides philanthropic support to local nonprofit organizations in order to advance a variety of worthy projects in the communities where their employees live and work. The grant will be used to help fund DSAOC’s initiative to provide healthcare programming for parents and outreach activities to medical professionals. 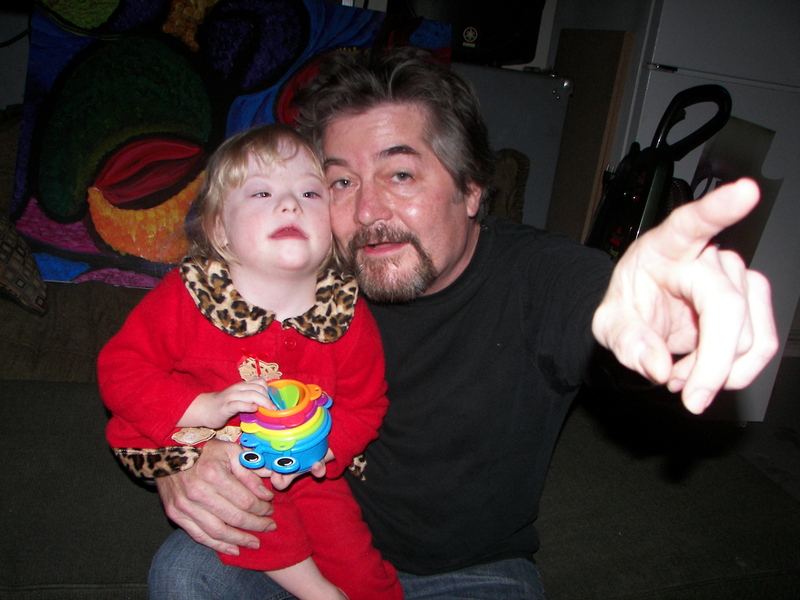 The Trisomy 21 Translational Research Parity Act of 2009 (“21 Act”) has been introduced in Congress and is aimed at expanding, intensifying, and coordinating Down syndrome translational research across the National Institutes of Health (NIH), the Centers for Disease Control and Prevention, and other Federal agencies. DSAOC’s new alliance with CHOC Children’s is highlighted as a featured story in their upcoming fall issue of Kid’s Health. Announcing the new pediatric Down syndrome healthcare program, the article discusses how it’s designed to provide thorough evaluations, assess each child’s particular medical issues, and coordinate access to a team of medical specialists. Work on establishing this alliance began more than a year ago and it’s been a top priority for DSAOC. We look forward to this becoming the model “one stop” program in the region, that offers comprehensive care through a weekly outpatient clinic; assists parents in navigating the healthcare system; and educates referring healthcare providers and families to the unique medical needs of children with Down syndrome. Thanks go to Kevin Orbaker and his family for organizing an event this past weekend at Rudy’s Pub & Grill in Foothill Ranch to help support DSAOC and raise Down syndrome awareness. With help from KROQ and DJ Lighting, the event included a free concert by the U2 tribute band, The Joshua Tree. The event also raised funds with donations going to DSAOC. 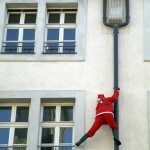 Great work Kevin and thanks to all involved – it’s much appreciated! The Buddy Walk has always been more than just a walk and this year it’s a concert too, with the announcement that the ENGLISH BEAT will be joining us to perform a musical set on Sunday, November 8th at Angel Stadium. The band has agreed to take part in our biggest event of the year to help celebrate and demonstrate the value of our friends and family members with Down syndrome. You don’t want to miss this. If you haven’t already done it – register today!